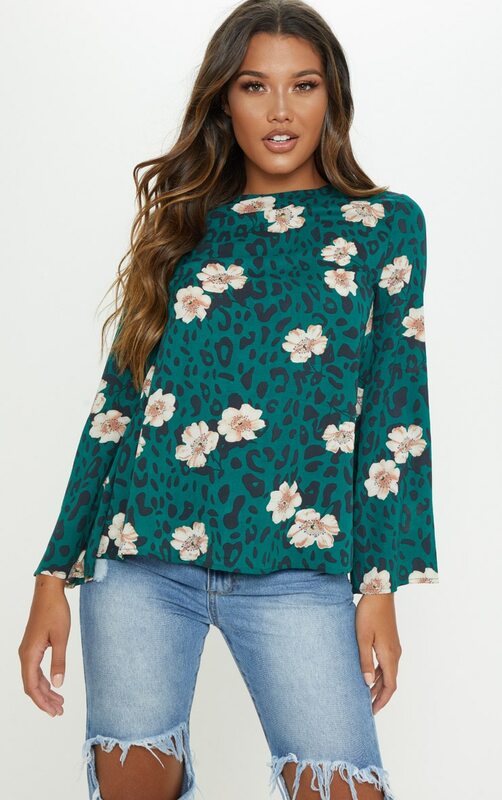 Add this blouse to your wardrobe for the weekend doll. 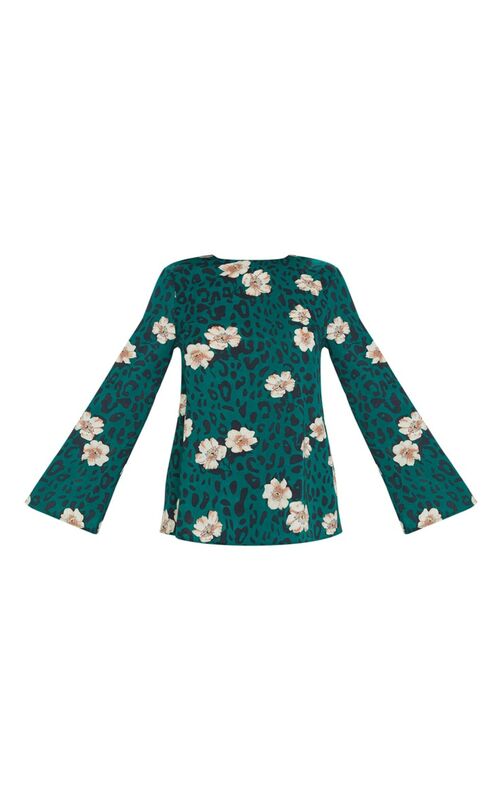 Featuring a green mixed print and backless design. 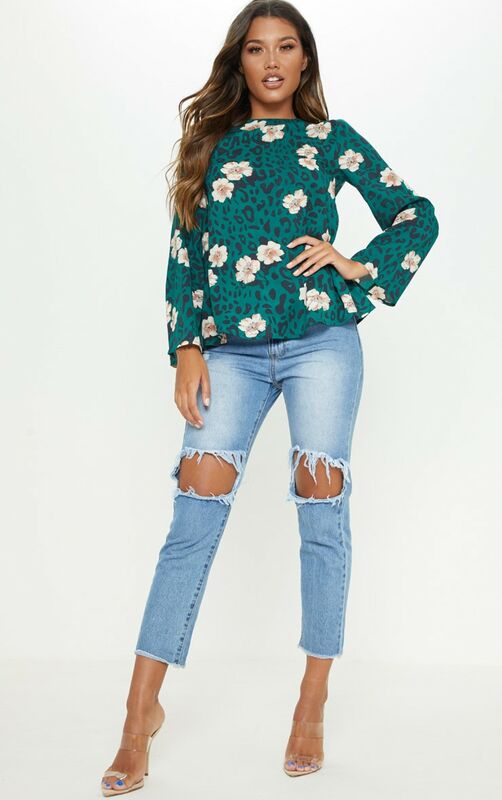 We love this styled with ripped jeans and clear mules for a cute brunch outfit.